Her latest favorite pair are from Crocs and they feature cute little ornaments called Jibbitz! These Jibbitz were originally adorning Crocs footwear but now they made them work for the sunglasses too! They easily slip on and off but stay on once they are on! They have so many cute Jibbitz for both boys and girls and the sunglass selection is equally cute! My daughter received the Kids Jibbitz Glam Sunglasses and they may be a little big but they fit her big personality! Besides looking super cute, they are also really great because they have shatter-resistant polycarbonate lenses and provide 100% protection from UVA, UVB and UVC rays. 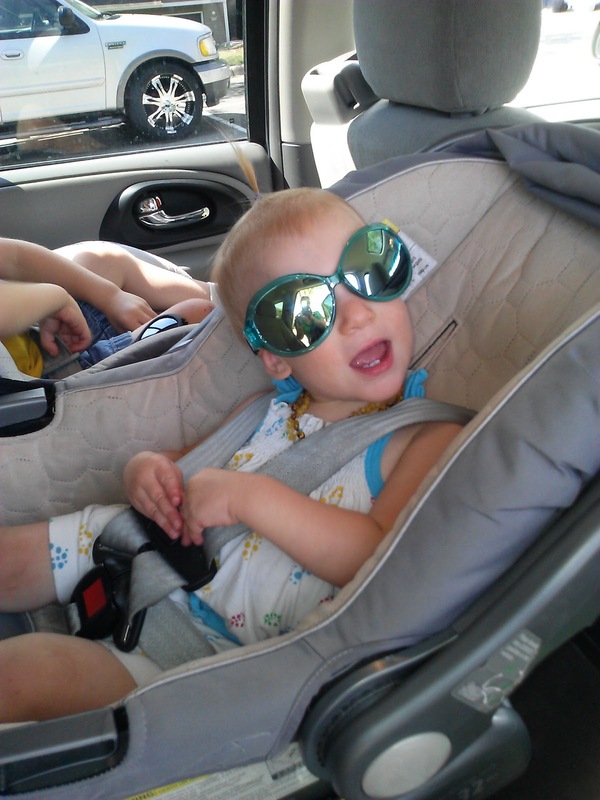 My daughter is not only cute but safe in these sunglasses from Crocs! Buy It: You can purchase Kids' Jibbitz Sunglasses online from the Crocs' website. Those are so cute! My girls would love those, now I'm on a mission to find them!